It is not every day that you get to travel to the other side of the world with your brother. But for two pairs of siblings at the university, that has finally become their reality. 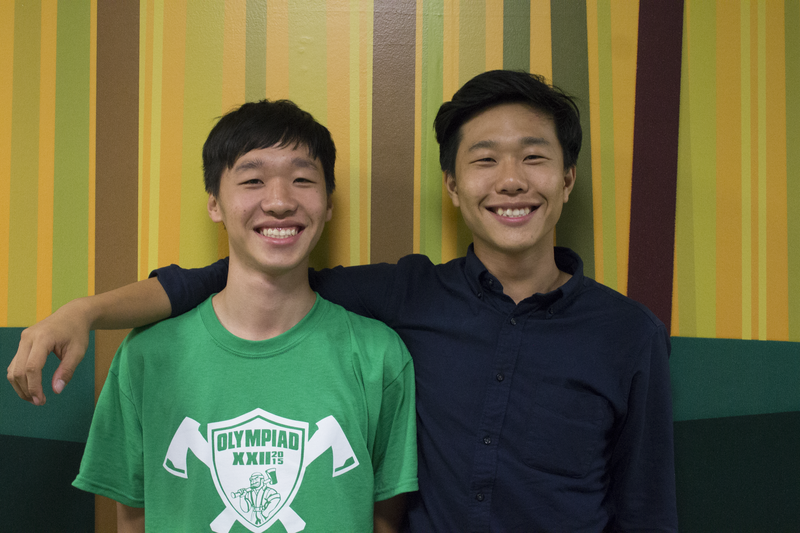 Seniors Andrew Dean and Sang Eun Woo came to the university as freshmen in 2013. Now, three years later, their brothers, Jeron Dean and Sang Jin Woo, have come to Huntington as incoming freshmen, following in their brothers’ footsteps. “It’s funny because we came in the same year and they came in the same year,” Andrew Dean said about himself and the Woos. Andrew and Jeron Dean are roommates with each other this year on Wright First — an experience they have had many times before. Though they are reunited with each other back in the same room, they admit they do not get to spend much time with each other due to their conflicting schedules. “When he’s around, I’m not around during the day, and when I am, he’s not,” said Andrew. Despite these conflicts, however, they still manage to find time together on the weekends, choosing to spend their time watching movies and, at some point, perhaps working out at the gym. Andrew also admits that, though he wishes he could spend time with his brother more throughout the week and the school day, he likes having that time to himself. For Sang Eun and Sang Jin Woo, who live in different buildings, the time they have spent together since they arrived on campus has been good and has helped their relationships with each other grow and mature from when they were young and in high school. Sang Eun said he has felt that, since his younger brother is here with him at school, he has to step up into a more adult role for Sang Jin while they are together. Sang Jin, too, has noted this shift in their relationship roles with each other, now relying on his brother much more in his parents’ absence. Sang Eun and Sang Jin, and Andrew and Jeron, are not the only pair of siblings to attend the university at the same time. In fact, Shoshannah McKinney, director of the institute of TESOL studies and admissions counselor for all incoming international students, said there have been several other pairs of siblings who attended the university together since she was first hired four years ago. However, not all of the international siblings who attend get to spend much time together on campus. “It’s kind of special to have the siblings here for any significant amount of time together, because that doesn’t always happen.” she said. Part of the reason for this being a less-than-uncommon occurrence, McKinney said, is that sense of connection to the place. According to Jeron, this same sense of connection to the university solidified his choice to attend. Sang Jin , however, took a bit more time to look around, choosing to look also at larger universities such as Penn State before finally landing on Huntington. “Rather than being alone in a place that I don’t know, I guess being with my brother … [is] better, even though it is just a year — for me to … make new friends, and also to adjust to the culture and school things,” Sang Jin said. Sang Jin noted that, though he loves that he gets to meet his brother’s friends and get acquainted with people he would not have otherwise met, he sometimes feels like he has the whole campus watching him. However, though he sometimes feels this way, overall, he has greatly enjoyed getting to know his brother’s friends at the university. Jeron also has enjoyed getting connected with a larger number of people at school. That being said, Andrew made it a point to tell his friends before Jeron came that, though he is his brother, they are totally different people. 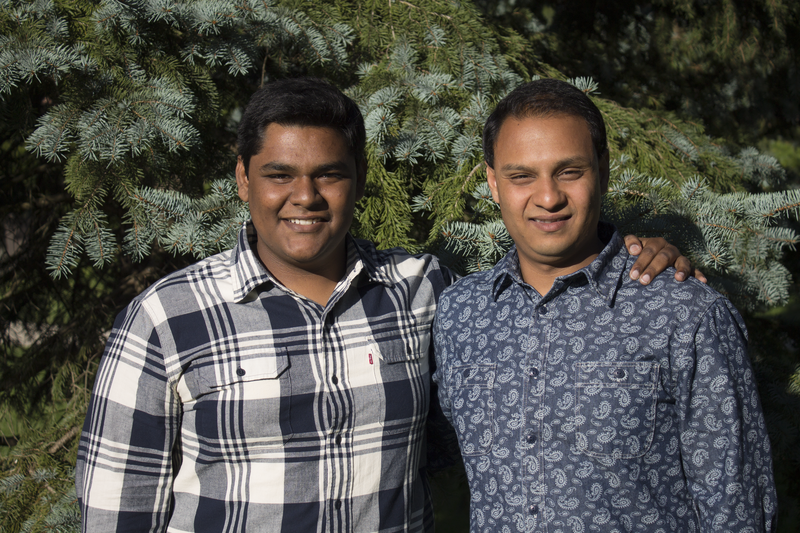 Overall, according to the brothers, one of the best parts of having family here is the sense of openness and trust that comes from their sibling on campus.